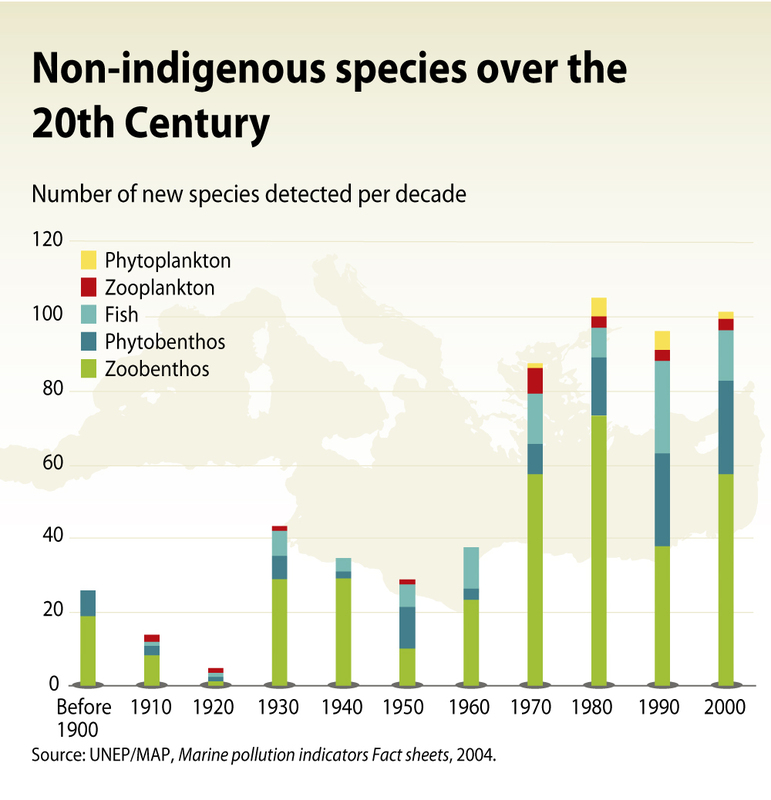 Both the number and rate of non-indigenous introductions to the Mediterranean have been increasing in recent years (UNEP/ MAP 2009). Currently, about a thousand non-indigenous aquatic species have been identified in the Mediterranean Sea, with a new species being introduced roughly every ten days. About 500 of these species are well-established; many others are one-off observations (UNEP/MAP 2012). In addition, there are also terrestrial non-indigenous species that have been introduced into the coastal zone of the Mediterranean but these species have so far not been systematically monitored. 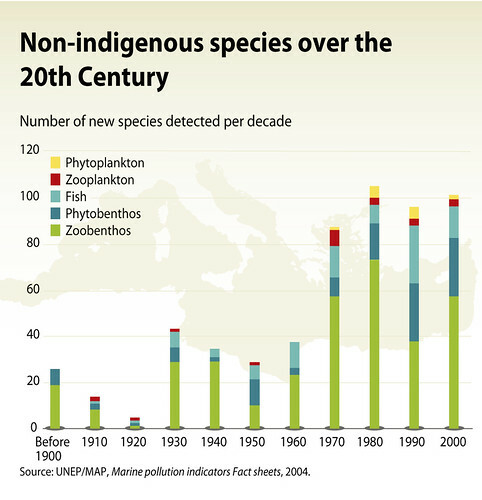 Benthic, or seabed-living, animals are the most plentiful non-indigenous species in the Mediterranean. 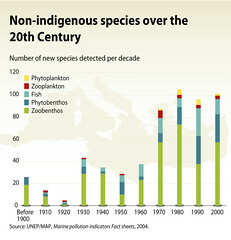 Most are molluscs, crustaceans, or sea worms (UNEP/MAP 2009). More non-indigenous species are found in the Eastern Mediterranean than in the Western Mediterranean.